I absolutely loved Touch & Geaux by Abigail Roux! It seems with each new Cut & Run book I find myself even more addicted and invested than the last, and the characters never grow old but only more interesting! In Touch & Geaux we delve deeper into Ty and Zane’s past—specifically we get some of Zane’s life when he was still married, and we learn about just some of the things Ty has been keeping to himself over the years. Stuff that causes serious damage to his and Zane’s relationship. all of the mystery and action that goes on. And Touch & Geaux might have had more action than any of the past books of the series. Ty and Zane are like magnates for trouble and it is no surprise when it finds them again in New Orleans; a city that Ty probably never would have ventured back into if Nick, a member of his recon team and friend, had not called him for help. After spending time in New Orleans Ty left enemies behind and they know he is back. The past has caught up with Ty and even with Zane and his team beside him they aren't going to find a easy path to take. We get a good bit of the past in this book which was wonderful. Even though we get Ty’s POV as well as Zane’s in the series; Ty has always been secretive about stuff. It is just the way he is. While the few flashback scenes of the past do not uncover all of Ty’s secrets or reduce that mysterious edge of his by the end of the book I did feel like I knew him better and know that Ty is not infallible. He is not made of steel or able to brush things off as easily as he appears to. The ending was absolutely indescribable. All I can really say is just, wow. Not only did it shock me but it ended just as we learn some HUGE news—I was left with my mouth open in shock and suspense. I cannot wait for the next book! 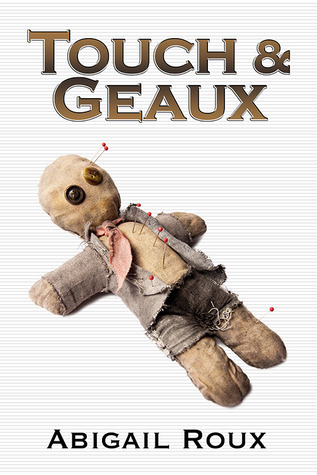 With laugh-out-loud moments, ones that had me mad and others that had me in tears Touch & Geaux is quite possibly the most amazing installment in this series yet. I highly recommend Touch & Geaux to anyone who is looking for a male/male romance with mystery and action elements. Not to mention some very hot love scenes! Touch & Geaux is a must read for Ty and Zane fans!